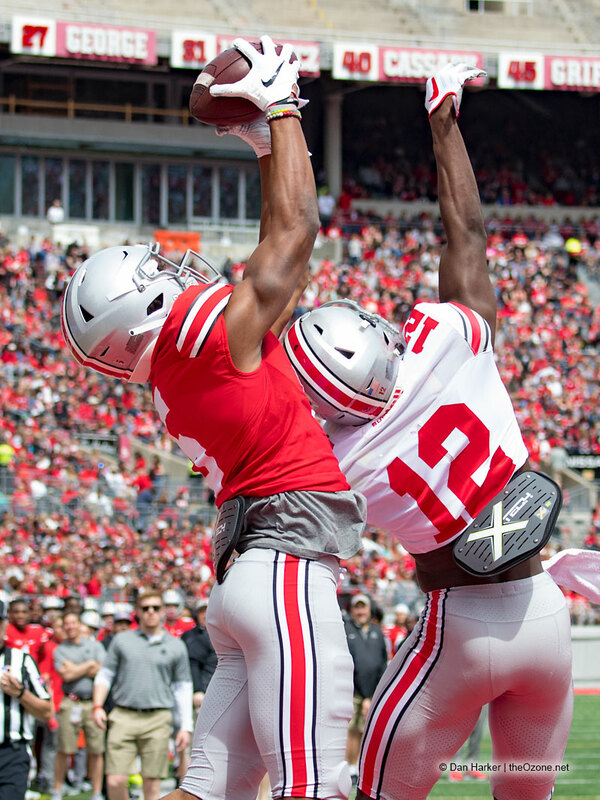 Ohio State freshman wide receiver Garrett Wilson had an outstanding spring for the Buckeyes. 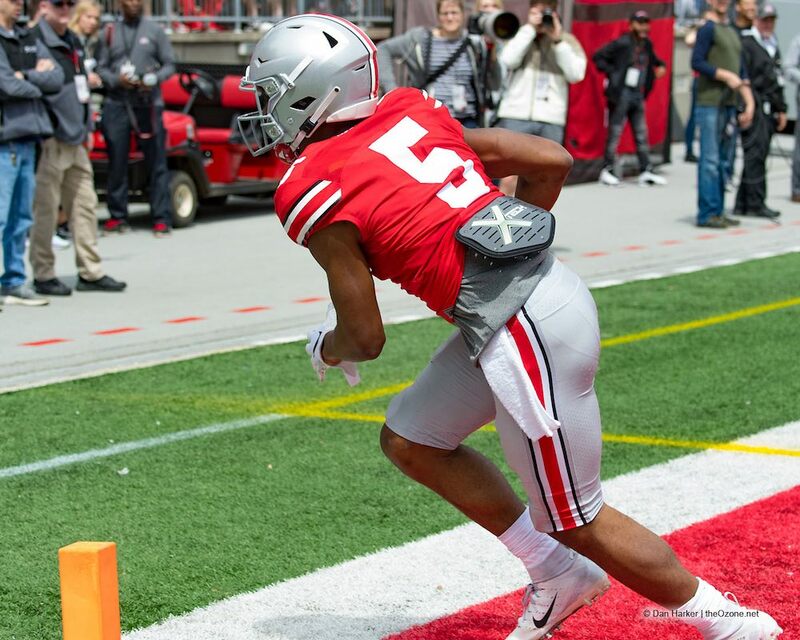 In Saturday’s spring game, he caught four passes for 44 yards, which was a fine way to cap his total camp performance. 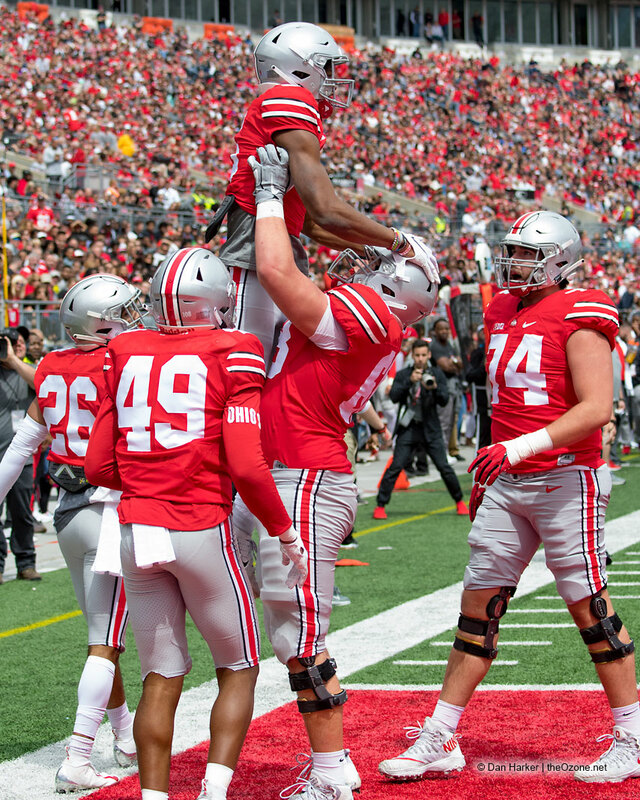 It was an 18-yard touchdown pass in the second quarter, however, that provided a glimpse of what Wilson’s teammates and coaches have seen from him since he arrived back in the winter. 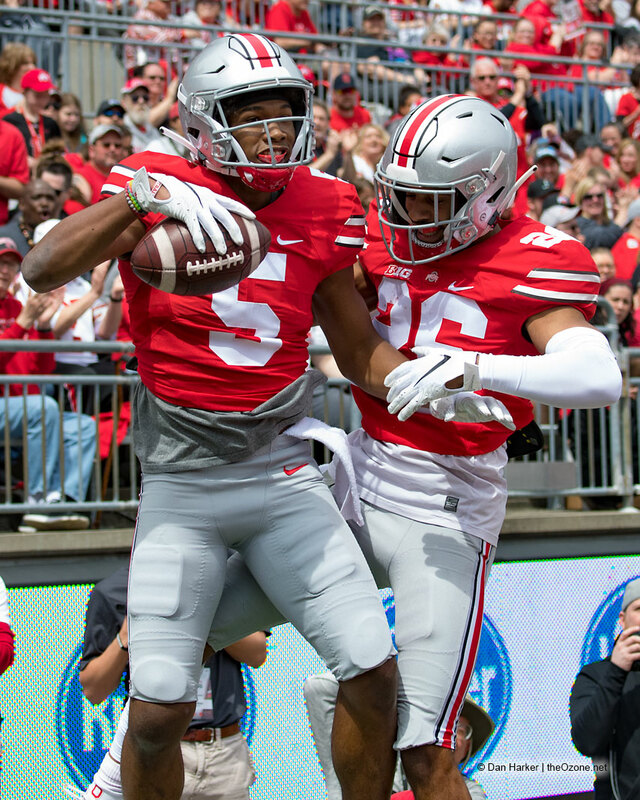 On the touchdown, redshirt freshman quarterback Matthew Baldwin took the snap on first-and-10, made a token play fake to the running back, and then simply threw a jump ball toward the back of the end zone where Wilson and sophomore cornerback Sevyn Banks were about to be. 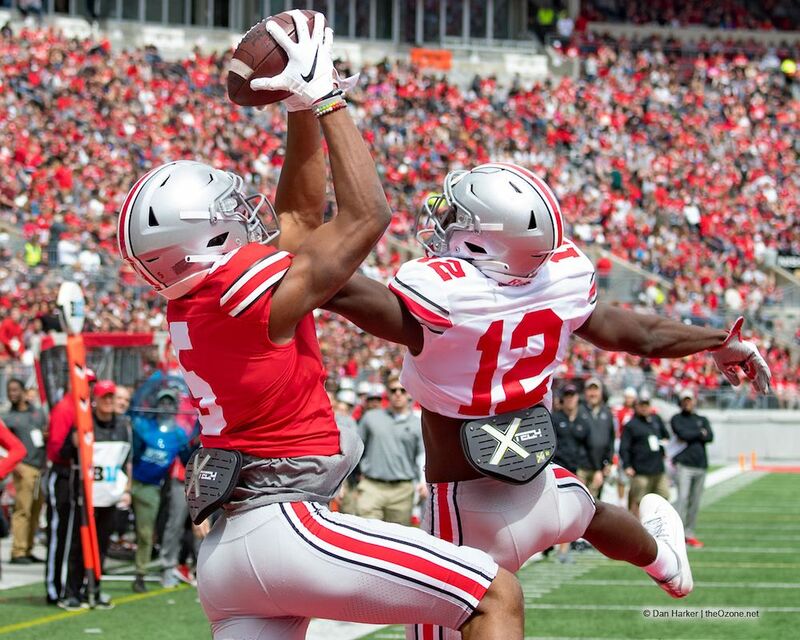 While Banks looked back and planted in order to jump for the ball, Wilson snuck in behind and waited until just the right moment to high-point the pass. 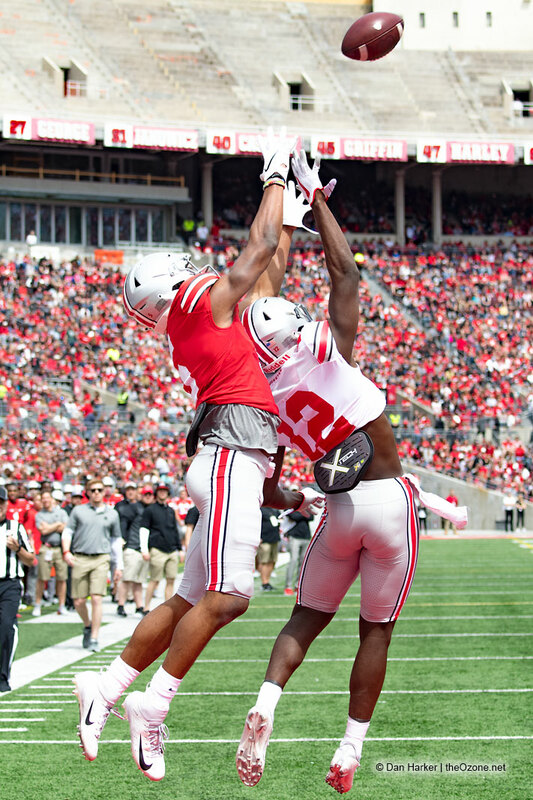 The precision allowed Wilson to come down with the ball, giving the Scarlet one of their two touchdowns on the day. Having played together at Lake Travis High School in Austin, Texas, this was probably the one thousandth time that Baldwin has thrown this exact pass to Wilson, and probably the 700th time it was successful. 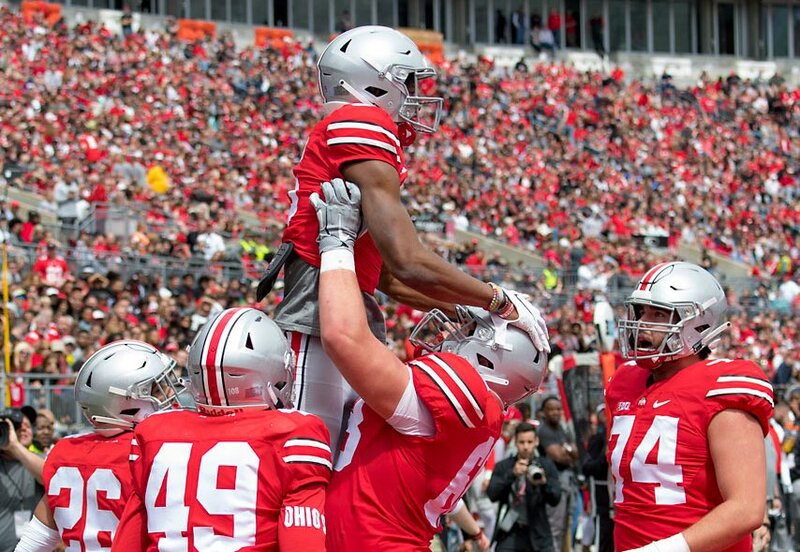 In front of a crowd of over 60,000 Buckeye fans, Wilson and Baldwin were once again playing catch, just as they had done for years back at Lake Travis. The-Ozone photographer Dan Harker was in the corner of the end zone to capture the touchdown, and you can see in the photographs below just how easy this play wasn’t. Take a closer look at Saturday’s play of the game. 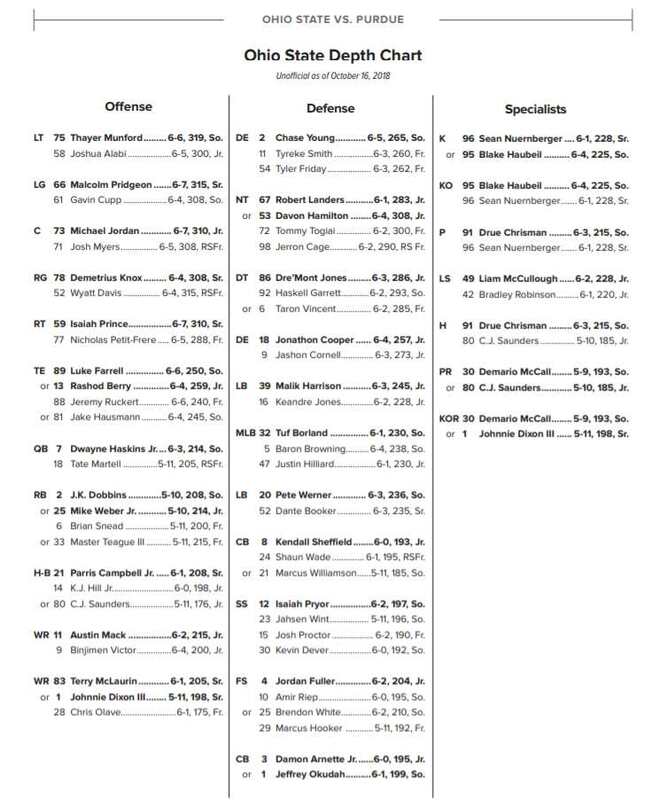 Our O WR and play maker depth is almost scary. This will only add to our red zone efficiency something sorely lacking until late in the 2018 campaign. Does this mean if he doesn’t block well for punts he will never see the field? He caught two touchdowns just like this in the all-star game, for Garrett it’s pretty commonplace, for most others it’s not!